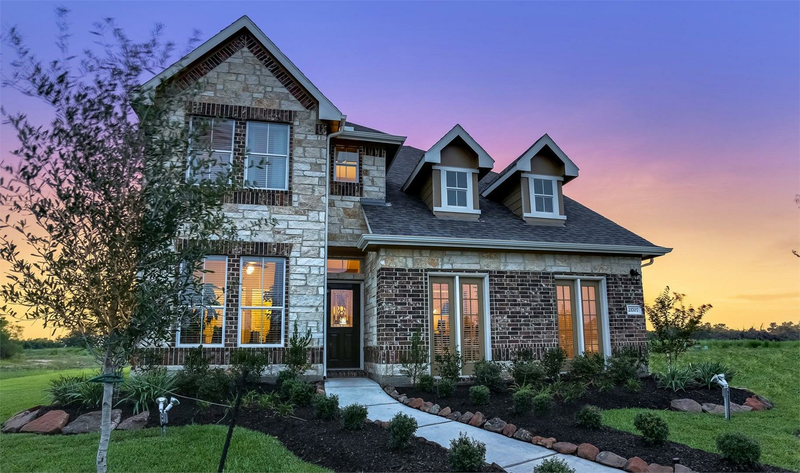 currently under construction at 10623 Kentington Oak Drive, Humble. Sales for available units range in price from $224,650 to over $229,530. Sunset Ridge West-45 has a total of 48 units. Sizes range from 2193 to 2300 square feet. 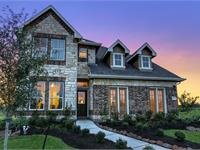 Located along Beltway 8, Sunset Ridge West in Humble, TX has everything you want in a single family new home community. With an array of home designs to choose from as well as a premier spot for entertainment, you will love your new home. Luxurious honed marble vanity sinks with recessed integrated wave bowl. Beautiful flat panel maple cabinet provide ample storage. Rejuvenating soaker tub in spacious owner's bath. Tempered rain glass garden window at tub for privacy. Beautiful brushed nickel ceiling fan in the great room. Distinguished continetal-style doors throughout your home. Rounded sheetrock corners except at windows. Welcoming ceramic tile design at entry. Sleek and strong James Hardie siding soffit and trim. Lasting fibreglass insulated six panel front door. Kwiket exterior brushed chrome handle-set with SmartKey technology. Wayne Dalton Sonoma-style garage doors increase curb appeal. Beautiful landscape package complete with a fully sodded front yard. Your inquiry will be delivered to the Sunset Ridge West-45 sales team, who will send you more information about this development.